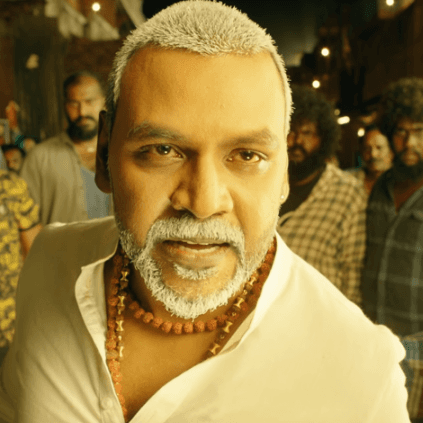 Kanchana-3 is an upcoming Tamil horror film written, produced and directed by Raghava Lawrence. The film stars Raghava Lawrence in the lead with Vedhika, Oviya and Niki Tamboli playing the female leads respectively. The movie is set to release on April 19. The film's makers have released a video song recently on Youtube. Titled 'Oru Sattai Oru Balpam', the song is composed by Saravedi Saran, with the composer himself penning the lyrics. The racy number is crooned by Srinidhi and Saravedi Saran. This dance number features Raghava Lawrence shaking a leg with the three heroines. Kanchana-3 is the fourth installment of the successful 'Muni' franchise. The film also stars 'Kovai' Sarala, Devadarshini and Sriman in supporting roles. The film is shot by Vetri and Sarvesh Murari with Ruben taking care of the editing department. People looking for online information on Kanchana 3, Oviya, Raghava Lawrence will find this news story useful.